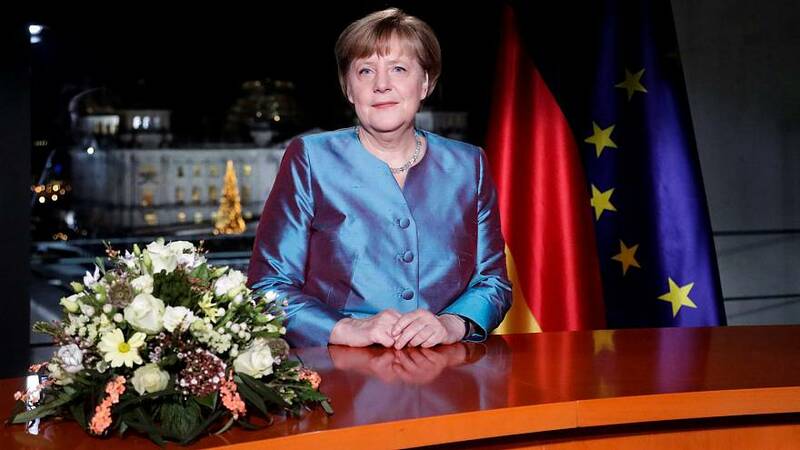 With Germany still reeling from the deadly Berlin truck attack, Angela Merkel has used her annual New Year’s message to insist the country and its democratic values are ‘stronger than terrorism’. Vowing to introduce laws to improve security, the Chancellor, seeking a fourth term in 2017, said Islamist terror was the biggest test the nation faces. “In 2016, it attacked us in the heart or our country, in Wuerzburg, in Ansbach and, just days ago, at the Christmas market, here, by the memorial church in Berlin,” she said. A failed Tunisian asylum seeker was identified by German authorities as the man who drove a lorry into a Christmas market. Twelve people died in the attack which ISIL said it carried out. Also in her speech, Merkel urged Germans to shun populism and said Germany should take a leading role in addressing the many challenges facing the European Union. She compared Brexit to a “deep incision” and said that even though the EU was “slow and arduous”, its member states should focus on common interests that transcend national benefits.